Amazon-level growth could lead to increased traffic and other strains on infrastructure. 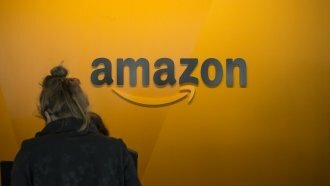 You know about the recruiting pitches cities have made to woo Amazon for its second headquarters and up to 50,000 jobs. But those cities also need a game plan for the unintended negatives that a major employer's $5 billion project might include. Seattle has been home to Amazon's original headquarters for 22 years. The company has unquestionably made its mark on the metro area. In Seattle, about 1 in 4 jobs is directly or indirectly created by Amazon. That includes both people who work for the company and people who benefit from its presence, like contractors who work on Amazon's buildings, for example. That's a considerable chunk of the workforce. And Amazon proudly illustrates its economic impact, from paying its employees' salaries to more complicated concepts like reinvestment. But some Seattle locals aren't pleased with everything the company has delivered their city. Amazon-level growth could lead to increased traffic and other strains on infrastructure. But Amazon is also known for giving back to its communities with projects like the free banana stand in Seattle and numerous volunteer initiatives. It's hard to predict if Seattle's story is a fair benchmark for whatever city gets Amazon's next HQ. But we do know the city itself has joined over 100 others in hopes of winning the bid. The deadline for bids is Oct. 19. Amazon kicked off the process last month by posting a request for cities to respond to a proposal document.